“Mom, are you still meeting with people from Eastern Lightning online? The pastor has asked us to keep an eye on you, and if you have any contact with them again, we have to stop you!” As he said this, my son grabbed my tablet computer away from me. One day, I was resting at home when the pastor rushed over with a deacon from the church. 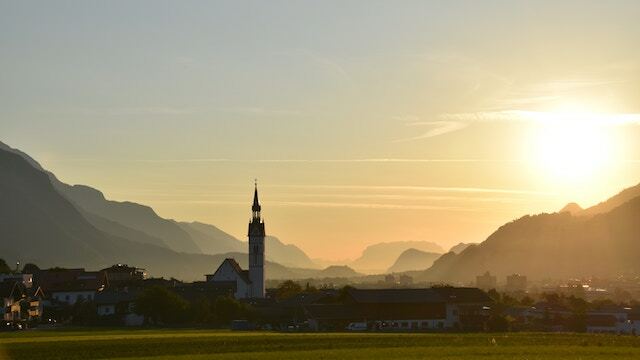 In a very threatening manner, she said, “I hear you are now a believer in Eastern Lightning, and are meeting with them?” I replied, “That’s right.” She went on, “You have been a deacon in our church for so long, how come you haven’t taken any stand? If you want to study the Bible or listen to sermons, then I can preach to you. If there is anything in the Bible you don’t understand, then just ask me. You mustn’t contact them again!” She then fired question after question at me and she made me feel somewhat nervous. What bad visitors they were! In my heart, I silently called out to God: “O God! Please calm my heart, give me wisdom and strength, give me the right words to say and enable me to stand witness for You!” After I’d prayed, my heart felt a little calmer, and I said to them, “Then let’s look into a few issues. What kind of person is able to get into the kingdom of heaven? How will God separate the goats from the sheep, and the good servants from the wicked servants in the last days? Why cannot unholy man see the face of God? How should man carry out the will of the heavenly Father? …” I asked several questions in quick succession which rendered the pastor speechless, and she just stood there looking awkward. I then fellowshiped with them my knowledge and understanding of these issues, and said, “The Lord Jesus said, ‘I have yet many things to say to you, but you cannot bear them now. However, when he, the Spirit of truth, is come, he will guide you into all truth: for he shall not speak of himself; but whatever he shall hear, that shall he speak: and he will show you things to come’ (John 16:12–13). These two verses prophesied God’s work in the last days. Now, the last days have already arrived. God has incarnated once again, and has expressed millions of words and revealed all of the mysteries of God’s management of mankind. Those who truly believe in God in various religions and denominations all recognize after reading the words of God that they are the truth and the voice of God, and so have turned toward Him, one by one. The reason why I accepted the work of Almighty God in the last days is not because I was easily persuaded, rather, it’s because through the words of Almighty God, I believe with all my heart that Almighty God is the returned Lord Jesus, and that I am following the footsteps of the Lamb. If you were really taking responsibility for the spiritual lives of the brothers and sisters, you ought to have led the brothers and sisters to read God’s words and accept His work in the last days.” Afterward, the pastor had nothing to say, but stood looking very annoyed, and before long she stormed off in a huff. As she left, she warned me, saying that if I preached the gospel of Almighty God to brothers and sisters in the church again, she would stop me from serving in that church. Just a couple of days later, the pastor told my husband and my son about the fact that I’d accepted God’s work of the last days, and she spoke many groundless allegations to them and many things which blasphemed God. A storm then erupted in my family. At the time of the Qingming Festival, my son had time off work and had just got back home when he asked me whether or not I was still meeting with brothers and sisters from The Church of Almighty God. He snatched my tablet computer away from me, saying that the pastor had asked him to keep an eye on me. My husband who had never touched alcohol in his life, came drunkenly out of another room and, pointing at me, he rebuked me loudly, saying that I was not allowed to believe in Almighty God anymore. Hearing them both speak to me that way, I was both upset and angry. They were both so confused; faced with the great event of the Lord’s return, they weren’t seeking the truth but instead were blindly obeying what the pastor told them, judging and defying God, and acting as Satan’s mouthpiece. The pastor was the same; she wasn’t seeking or investigating this way, but instead had tried several times to disrupt and obstruct me, and was even instigating my husband and son to oppose my following Almighty God. What on earth was she playing at? At the same time, I also came to understand that I had been afraid of having a stormy relationship with my family, and so had purposefully tried to protect it. Every time I performed spiritual devotions with brothers and sisters or met with them, I would get up very early so as not to let my husband or my son see. Satan knew the weakness of my heart, and so once again it tried to disrupt and accuse me. Yet I had to face it head on this time and rely on God to stand firm in my testimony. As I thought this, strength returned to my heart, and I said to them, “Though pastors may have studied theology, that doesn’t mean that they will be able to hear God’s voice. The Pharisees in the time of Jesus believed in God for generation after generation and they knew the Bible by heart, and they often explained the Bible to others. But when the Lord came to perform His work, not only did they not accept Him, they led believers to defy the Lord, and ultimately caused those believers to lose God’s salvation, and suffer God’s righteous punishment and cursing. Although modern day pastors and elders also know the Bible well, if they do not have God-fearing hearts, nor humble, seeking hearts, then they also will defy God. When it comes to our approach to the Lord’s return, we should take a stand based on our own judgment and we must not blindly follow what the pastors say. Otherwise, if the blind lead the blind then all will fall into a pit! Through reading Almighty God’s words, I have become sure that Almighty God is the Lord returned. No matter how you oppose me, my intent to follow Almighty God will not change!” My husband saw my resolve and became very angry. His face went red and his eyes glowered at me, as though he wanted to hit me. “How can you be so stubborn? !” he yelled, “If I tell you not to believe in it, you will not believe in it!” My husband’s ferocious appearance scared me. We’d been married for so many years and I’d always had the final say with everything. I’d never seen my simple, honest husband so angry before. In my heart, I called silently on God to expel the fear from my heart. After praying, I thought of God’s words, “You shouldn’t be afraid of this and that. No matter how many difficulties and dangers you face, you shall remain steady before Me; do not be obstructed by anything…. Be not afraid; with My support, who could ever block the road?” God’s words immediately gave me faith. Yes, God holds all things and events in His hands. With God as my shield what on earth was there to be afraid of? If my husband raised a hand against me, I should still stand firm and not surrender to the dark forces of Satan, but cause Satan to be shamed and defeated! At that moment, my son rushed over and got in his father’s way, and once again began to exhort me, saying, “Mom! It was so great how we all used to believe happily in the Lord as a family! For the sake of peace in our family, can’t you return to our church to believe in God?” I said, “Isn’t it you two who have broken the peace in our family? It’s been you two who’ve stirred up trouble every time! If you didn’t keep trying to stop me, wouldn’t we have peace again in our family? I’ll soon turn 60, and I’ve served the church for almost 30 years, yearning for the Lord to return. Now He has returned, and not only do you not accept Him, but you keep trying to stop me from accepting Him! Did you know that God’s work is ever new and never old? Only by accepting God’s new work can we attain God’s salvation. If we cling to the work God has done in the past, then our lives will stagnate, and in the end, we will only be abandoned and sifted out by God! Let me be as clear as I can be when I tell you that I will not betray Almighty God no matter how you two treat me!” Thank God that when I spoke those words, my heart felt very much at ease, and my son’s attitude was much abated. Later on, I sent my husband a text message, saying, “After investigating for some time, I have become certain that Almighty God is the Lord Jesus returned. I am determined not to betray God no matter how you try to stop me, and I hope that you will seek and investigate this way in earnest. God has returned in the last days to express His words and perform His work of judgment beginning in the house of God. 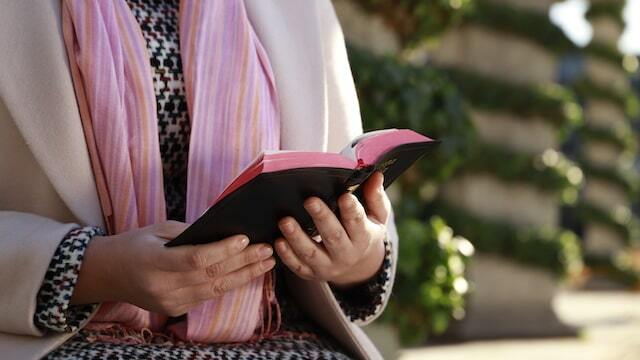 Only those who can hear God’s voice are the wise virgins and only they can attend the feast in the heavenly kingdom together with the Lord.” After I’d sent this message, I felt much calmer, and my heart was at ease. From that time on, my husband no longer tried to obstruct or restrict me, and my son returned my tablet computer to me. I was then free to meet with my brothers and sisters and read God’s words, and I felt a great sense of liberation and freedom in my spirit. Undergoing these family storms made me see that all things are in God’s hands. God uses these environments to test my faith, and when I stood firm in my testimony to God, the adversity in my environment receded, and my faith to bear testimony to God’s work was strengthened. I once testified to a sister of God’s work of the last days, and she said that she wished to investigate it too. But this was soon known to the pastor, and not only did she warn the sister not to have any contact with me again, but she urgently held a meeting with deacons and co-workers to ban me from their church and to make everyone in the church reject me. After I heard about this, I felt very sad, and I thought to myself: “Is this still my son’s mother-in-law that I used to admire so much? Is she still a good servant who gladdens God? As the pastor in the church, as the leader of the flock who has studied theology and knows the Bible well, why when she is faced with the appearance and work of God does she take such a stance?” I just couldn’t understand it. God’s words and the sister’s fellowship ended my puzzlement. I thought of how pastors always said that they feared we would go astray because of our small statures. But they used this as an excuse to make us stick to the church and listen to their sermons. It turned out that they were afraid that we would listen to God’s voice and accept God’s work of the last days, and then no one would listen to them preach, and they would lose their positions and their livelihoods! I used to respect the pastors so much, believing that they toiled and worked and expended great efforts for the Lord. As it turned out, they only worked for their own aims, scheming for themselves under the guise of working for the Lord. They were so contemptible and hateful. But this time I was able to discern their essence. Later on, my son’s mother-in-law sent me a text message, warning me not to go to the church again and preach the gospel of Almighty God to the brothers and sisters there. I texted back, and in reply I said, “By not investigating this way yourself and not allowing the brothers and sisters to investigate it, you are destroying their chances to attain God’s salvation. You are doing evil and you are defying God. Just like what the Lord Jesus said to the Pharisees, ‘But woe to you, scribes and Pharisees, hypocrites! for you shut up the kingdom of heaven against men: for you neither go in yourselves, neither suffer you them that are entering to go in’ (Matthew 23:13). God’s kingdom gospel right now is extending throughout the entire universe, and The Church of Almighty God is becoming established in country after country. No evil power can stop it, no matter how it may try, for things that come from God must be prosperous! To obstruct people from following God is to oppose God. You know better than I the end to which the Pharisees came, so I hope you will no longer defy God!” After I’d sent this message, I took the initiative and withdrew from my old church. Thank God that, through this repeated harassment, I came to see clearly the ugly countenance of Satan, whilst also gaining some discernment of the pastor’s essence. I have now completely severed all ties with religion and have returned before God. No matter how pastors and elders may seal off the church, I shall still continue to preach the gospel and bear witness to Almighty God, and I shall lead before God all those brothers and sisters who have been deceived and cheated by the pastors and elders, for the comfort of God’s heart.